United Autosports have confirmed that Luke Hines will join the team for the final two rounds of the 2014 Dunlop MSA British Touring Car Championship. Luke will race the team’s Toyota Avensis alongside team-mate James Cole for the final two events at Silverstone and Brands Hatch. 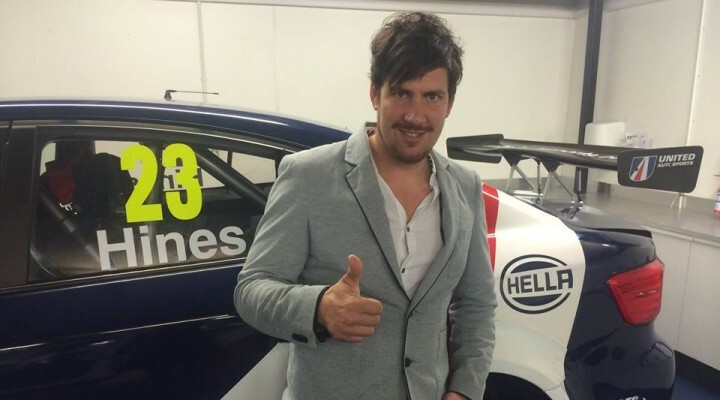 Hines previously raced in the BTCC from 2003 to 2005 with Barwell, Vauxhall and SEAT. He then moved to the British GT Championship racing alongside Tom Kimber-Smith in the Team LNT-run Panoz Esperante in 2006. He has also entered the British GT Championship in a Ferrari 430 GT3, a Ginetta G55, a Ginetta G55 GT3 and most recently, a BMW Z4 GT3. Luke’s first competitive action for United Autosports will commence at Silverstone with Free Practice One at 09.30 next Saturday (27 September).